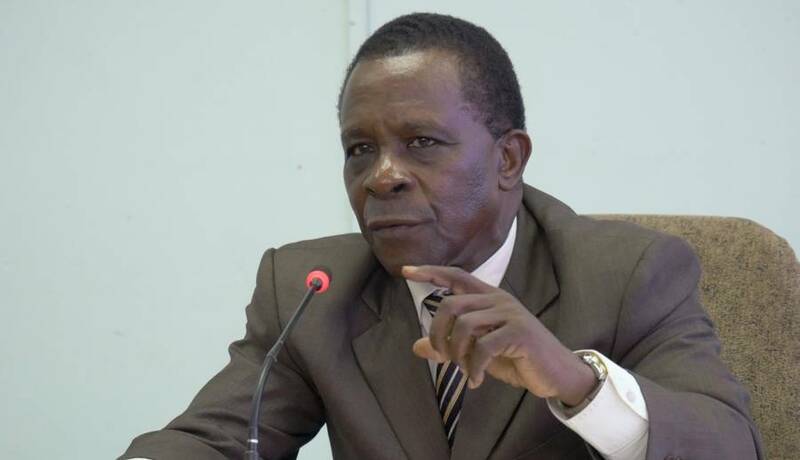 Prime Minister Dr Keith Mitchell believes that the industrial protest in the form staying off the job, which commenced on Monday with workers of government ministries and departments, will not escalate to a higher level. “I am very hopeful that common sense will prevail and we will see an end to this impasse,” Dr Mitchell responded when ask to share his view on the present industrial action among government employees. The Technical and Allied Workers Union (TAWU) and the Public Workers Union (PWU) instructed their members to stay off the job on Monday as a sign of protesting the amount of money offered by government as a one-off payment for the period 2013 to 2016. The unions are demanding EC$1,500 while government is offering EC$650. Mitchell said that if government cedes to the demand, that will place an additional financial burden of EC$9 million on government revenue, which will place government in a position where it can lose millions in debt relief, and at the same time violate the fiscal responsibility legislation. “I cannot and will not do anything that will injure our ability to get debt relief…we ought not to do anything that will interfere with our opportunity,” the Prime Minister told reporters during the weekly Tuesday morning post cabinet briefing. Post Cabinet Briefing held at the Ministry of Works Conference Room – Facilitated by Prime Minister Dr the Rt Hon. Keith Mitchell. The unions are reporting success among the workers staying off the job, but Dr Mitchell who is the Minister for Finance said that most of the employees are on the job. “This is not having the desired result as they though it would have had,” he said while admitting that in places where workers did not show up, others in management team are lending support. “The leaders are there doing the work,” he said. At the close of the working day on Monday, the unions announced that they will continue the strike on Tuesday. In a news release issued on Monday afternoon following the 1st day of strike action, government thanked all the workers who chose to stay on the job. “Government is pleased with the patriotic and reasonable action of these employees who, by their reporting for work maintained service to the public, particularly at the hospitals, government revenue departments, customs and several other divisions throughout the state,” said the statement from the Government Information Service (GIS). “Government again restates its call for the unions’ leadership to resolve the dispute through the dispute procedure. Government reaffirms its care and respect for all of its employees, and recognises the right of workers to strike. However, workers are reminded that the exercise of their right to strike extinguishes their right to be paid,” said the statement.